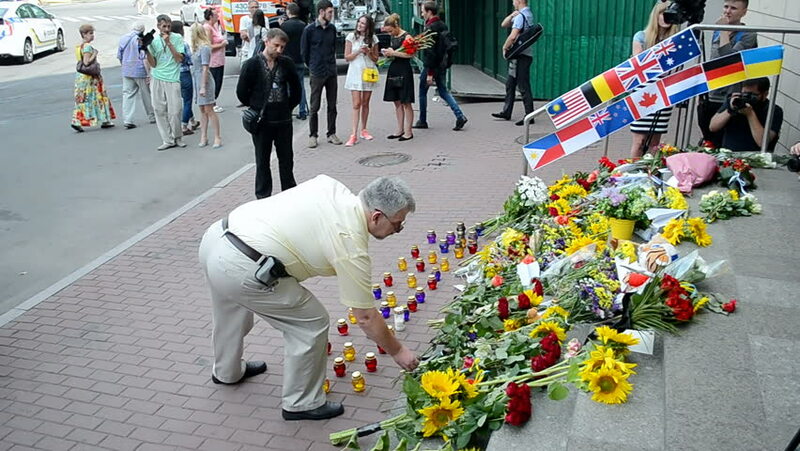 KIEV, UKRAINE - JULY 17: Flowers and toys memorable memorial set up near Embassy of the Netherlands devoted to the Malaysia Airlines B-777 (MH17) crash in Donetsk Region in July 2014.
hd00:10KIEV, UKRAINE - JULY 17: Flowers and toys memorable memorial set up near Embassy of the Netherlands devoted to the Malaysia Airlines B-777 (MH17) crash in Donetsk Region in July 2014.
hd00:13HIKKADUWA, SRI LANKA - FEBRUARY 2014: Local man sitting and selling limes and lemons at Hikkaduwa market. Hikkaduwa Sunday market is known for its wide range of supplies. hd00:18ROME, ITALY, JUNE 2, 2014: Street artist is using sprays for creating his pictures, which afterwards sells to public.